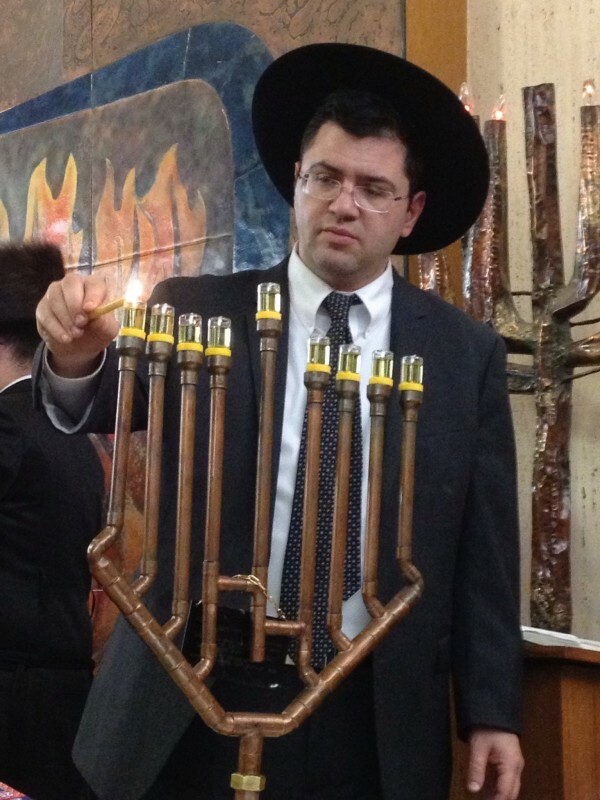 Zvi Kohn lighting the menorah Motzei Shabbos Chanukah 5773 (2012) for the 8th night. 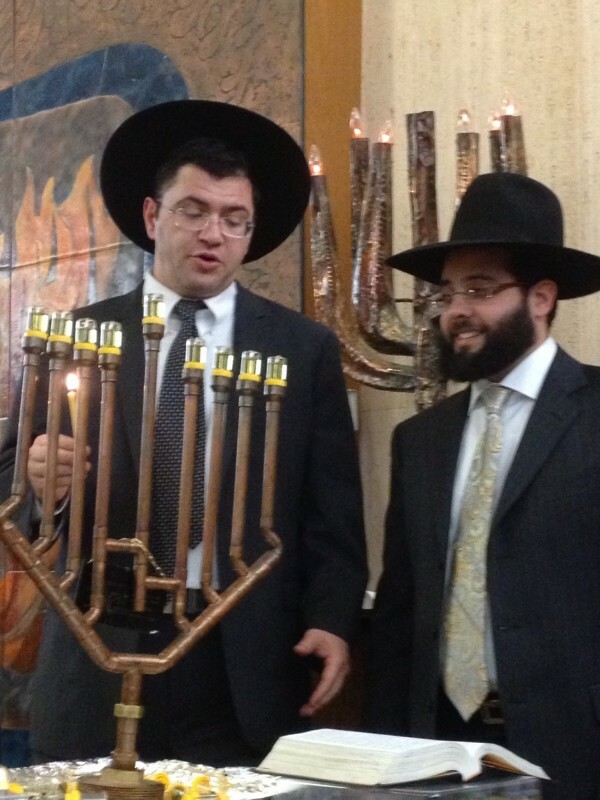 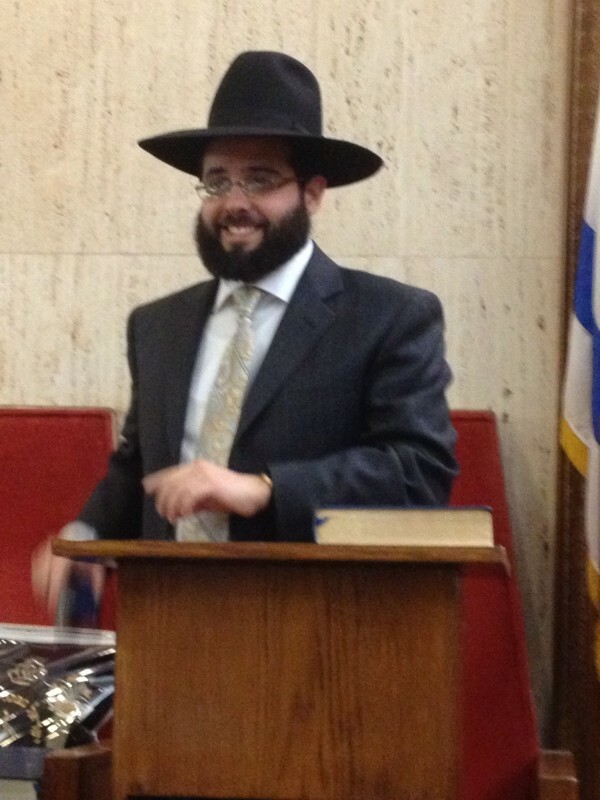 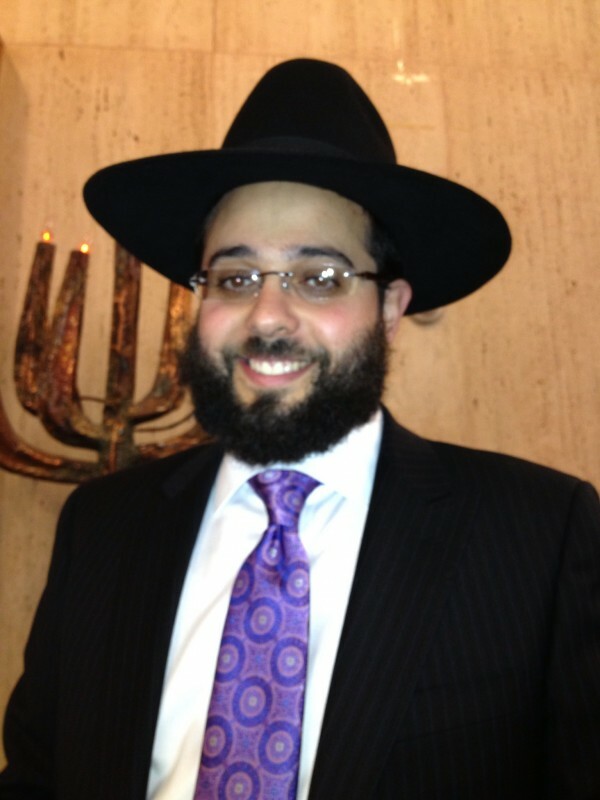 The Traveling Chassidim performed Motzei Shabbos Chanukah 5773 (2012). 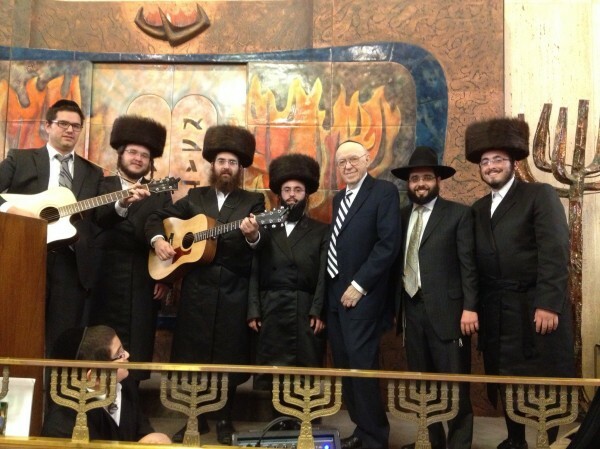 Rabbi (Emeritus) Halpern is 3rd from right and Rabbi Yisroel Perelson is 2nd from right.